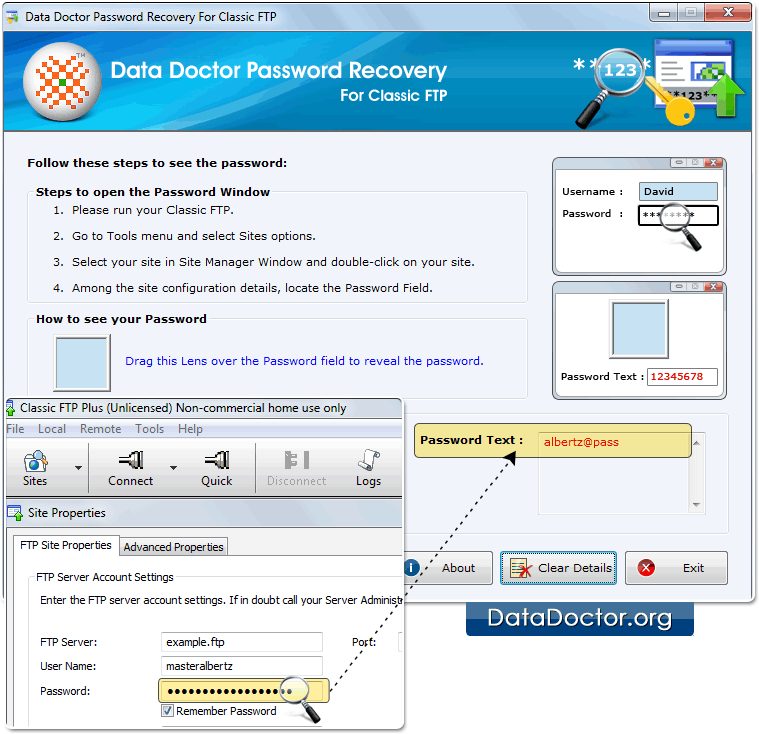 Password Recovery Software For Classic FTP reveals multilingual or complex password from Classic FTP easily. Password recovery software recovers lost password even with special characters. It works with Windows 10, Windows 8, Windows Vista, Windows XP and other latest operating systems. 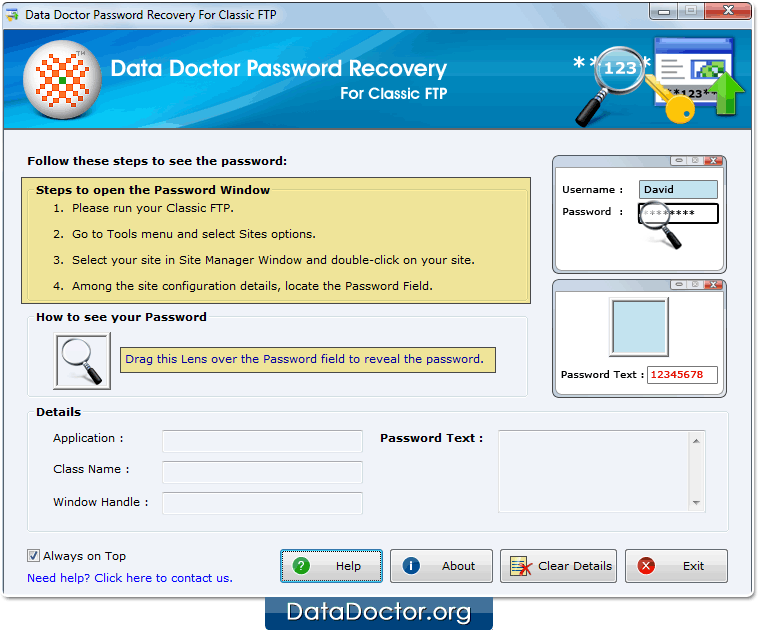 Install Password Recovery Software For Classic FTP. 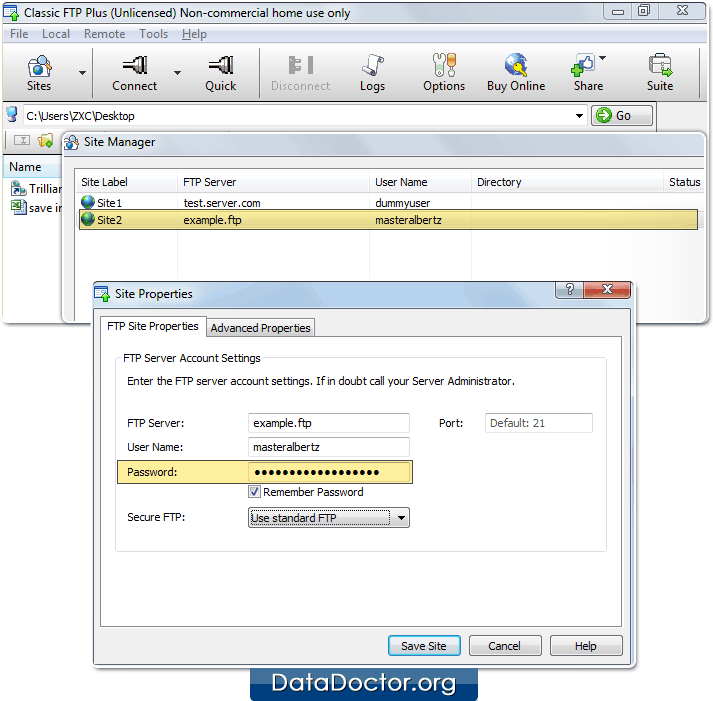 Run Classic FTP Software and Go to ‘Tools’ Menu then select ‘Sites’ option. Select your site in Site Manager Window and double click on your site. Drags lens over the password field to locate it among various site configuration details.